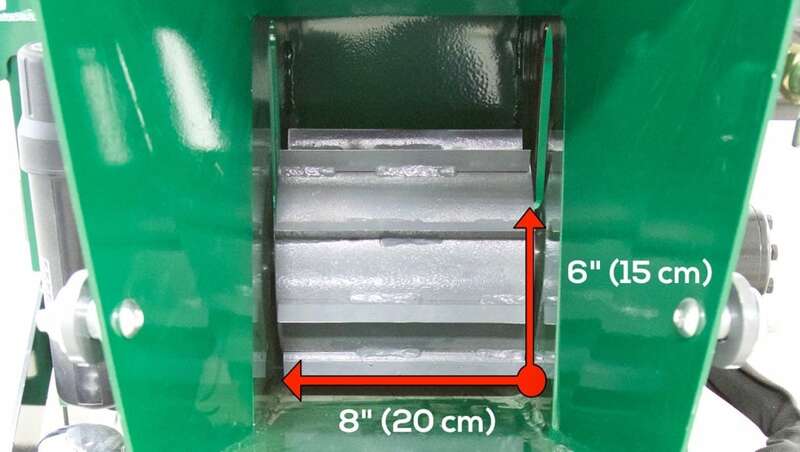 The dynamically balanced 24” (61cm) diameter, 3/4” (2cm) thick, and 100 lb / 45 kg solid steel flywheel runs on a 2” (5cm) diameter shaft and is supported by 2 industrial and greaseable flanged bearings. 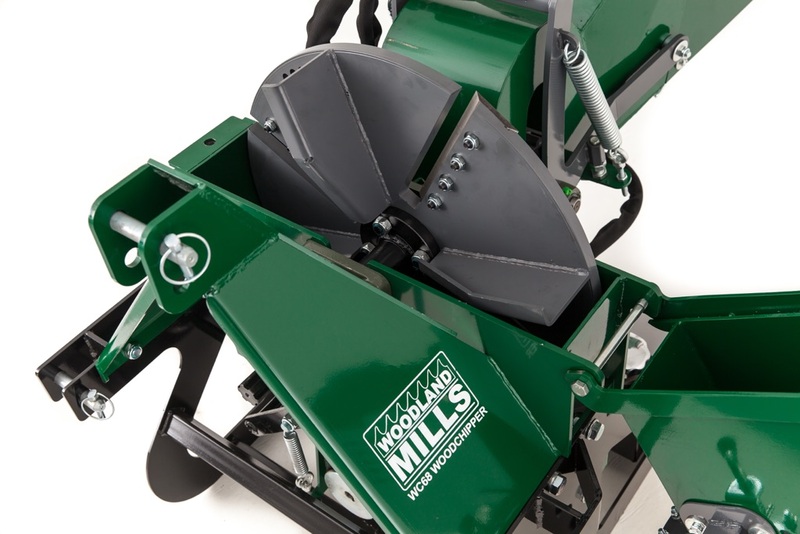 It features four CNC machined pockets to hold the reversible blades. 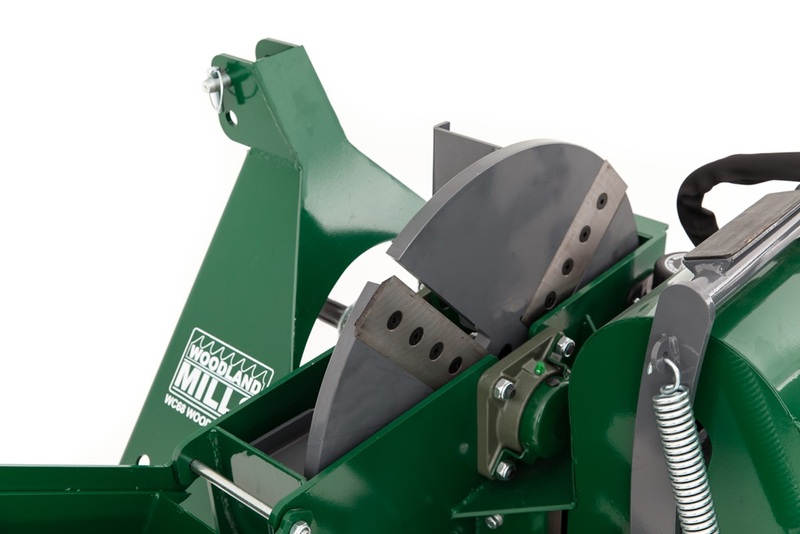 The flywheel features four large fan blade paddles that spin at over 540 RPM. 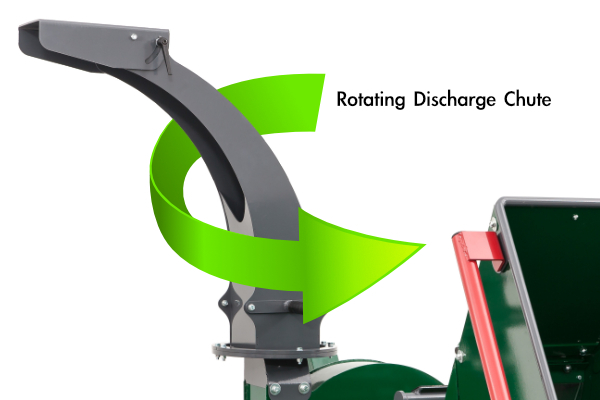 The discharge chute was designed to rotate 360 degrees by simply loosening the eye bolt and spinning it by hand to the desired angle. 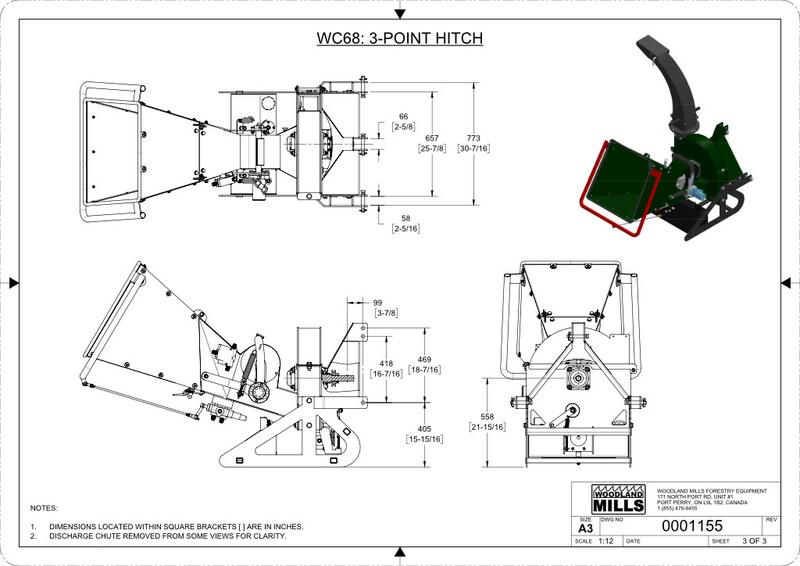 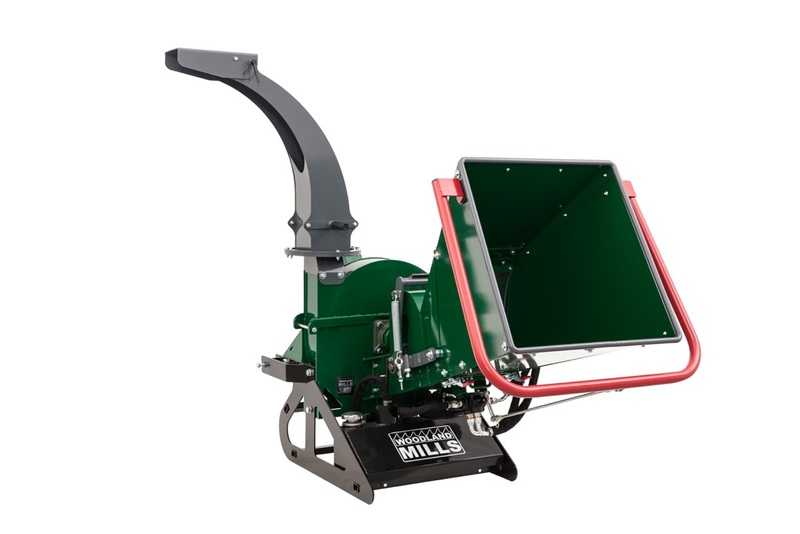 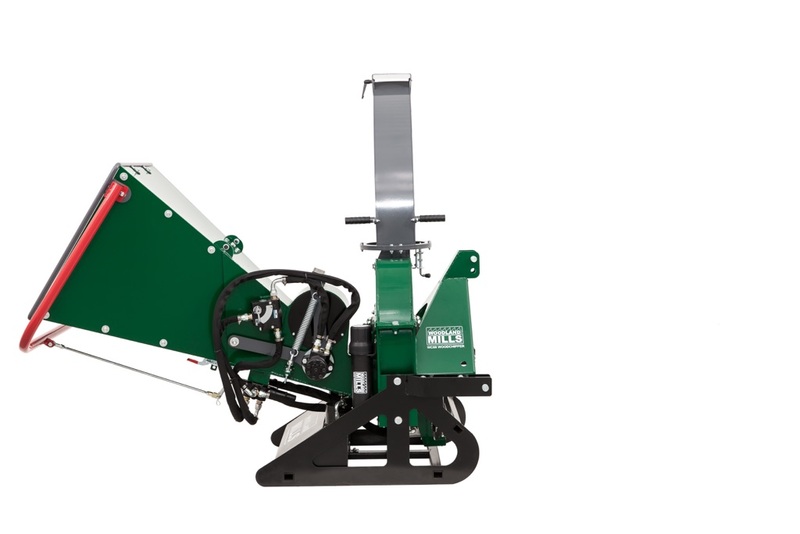 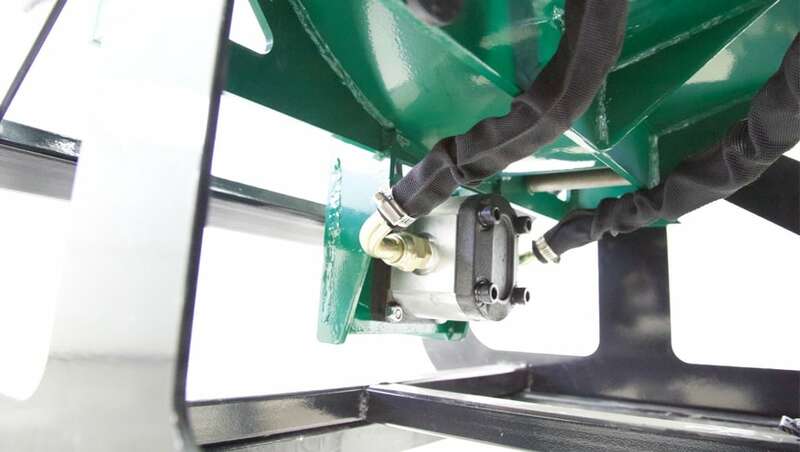 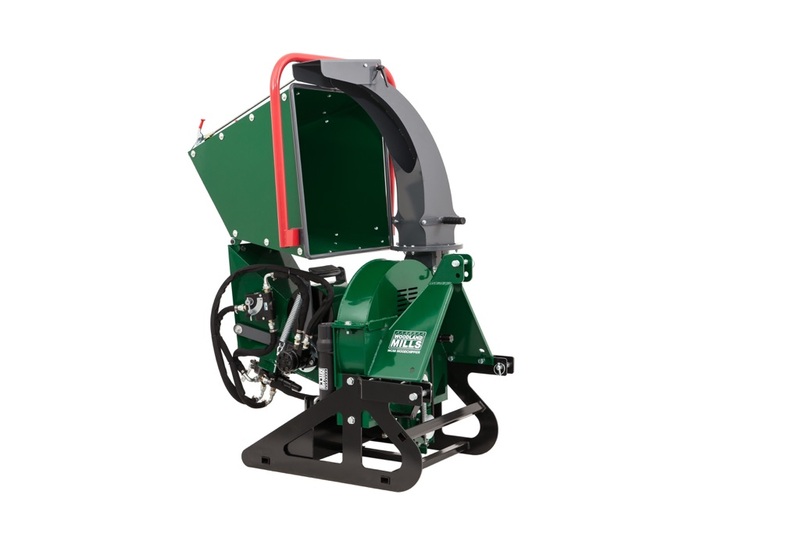 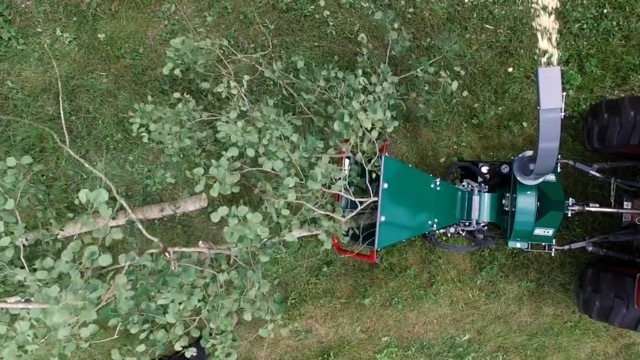 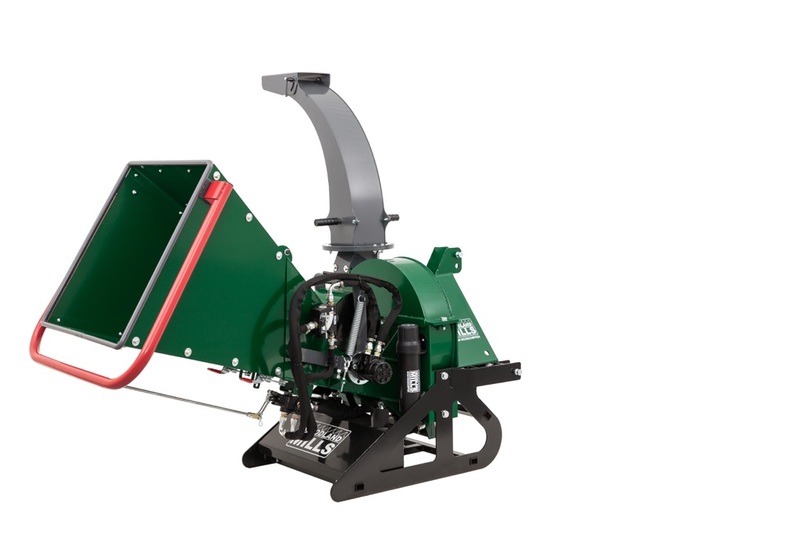 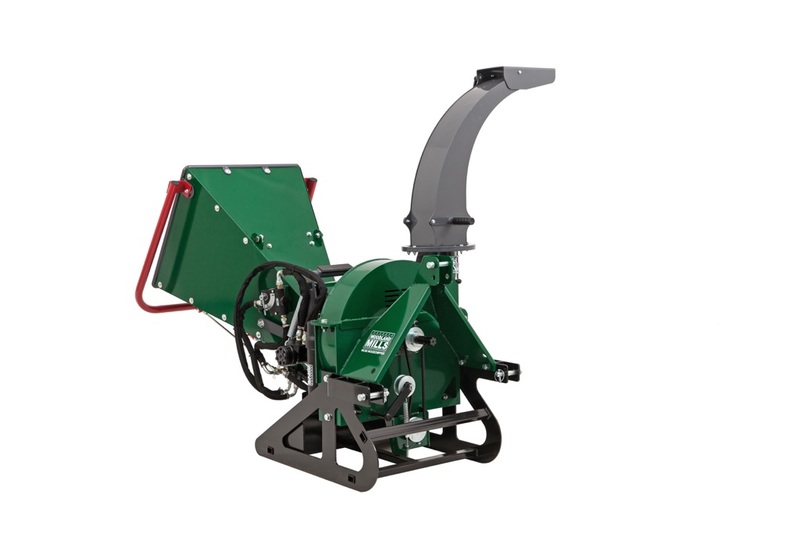 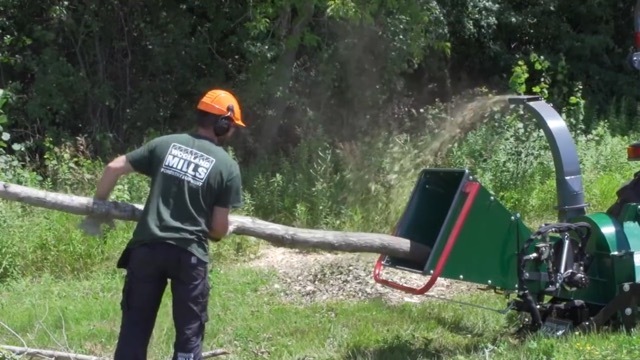 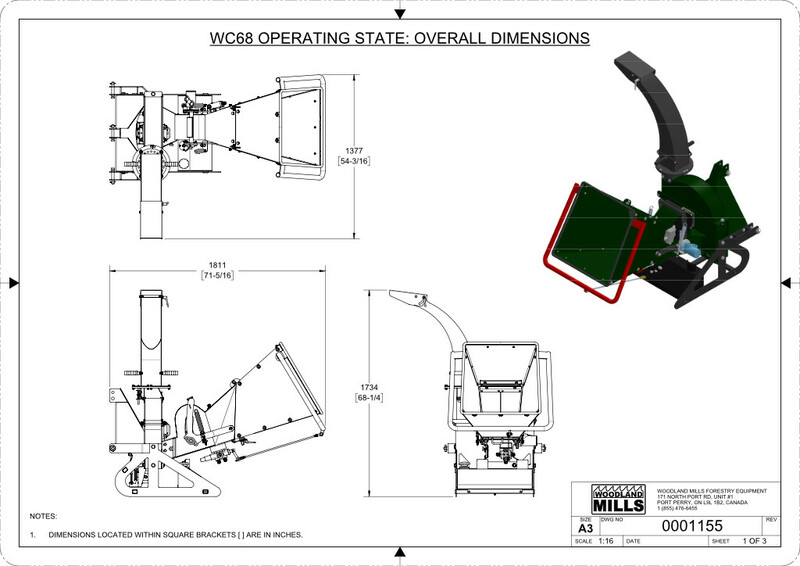 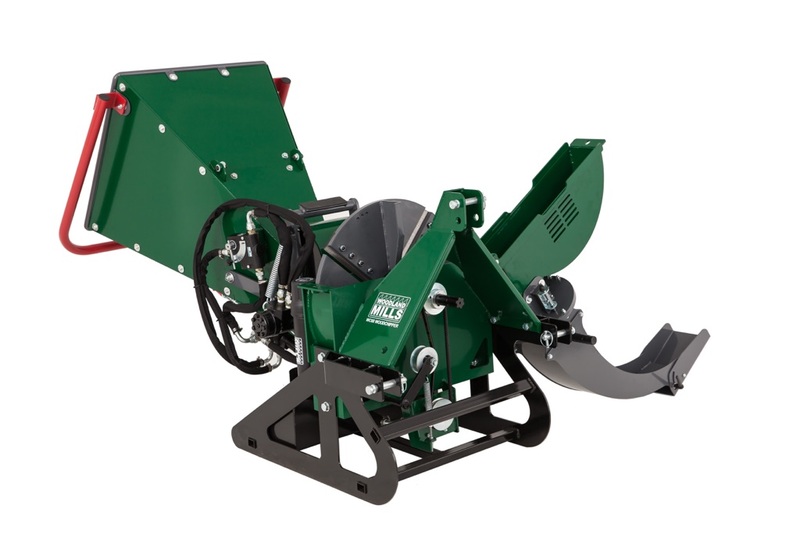 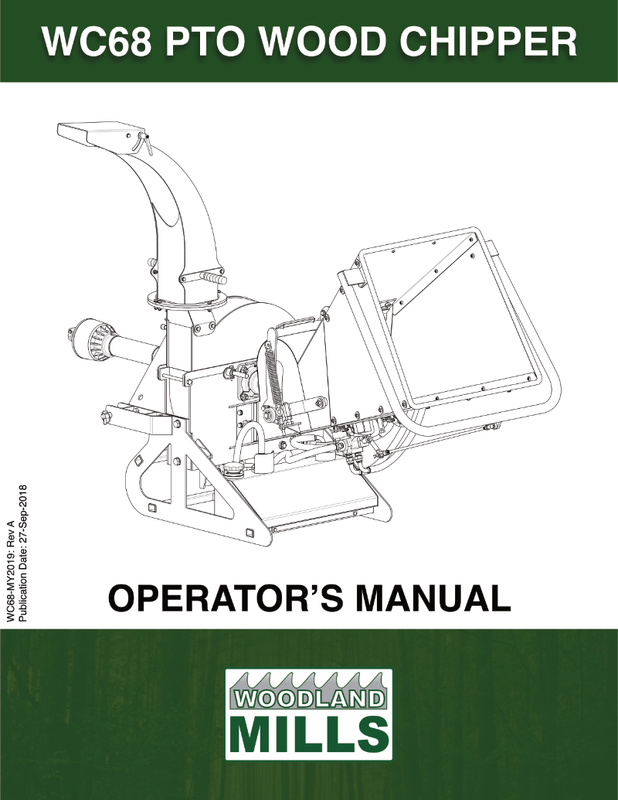 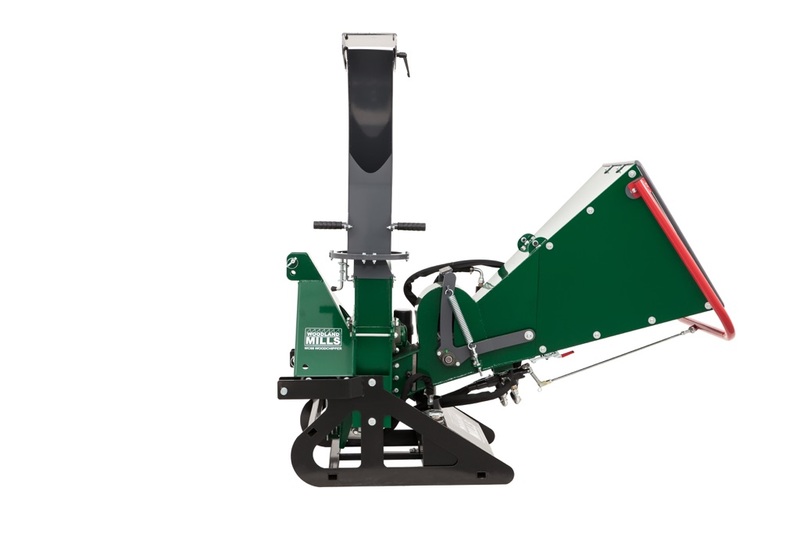 This makes it possible to direct the wood chips in any direction regardless of the location of the chipper. 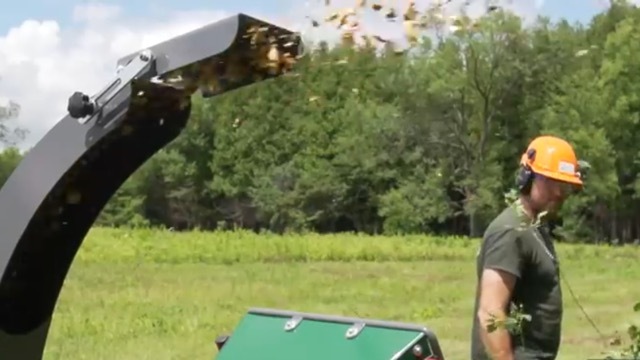 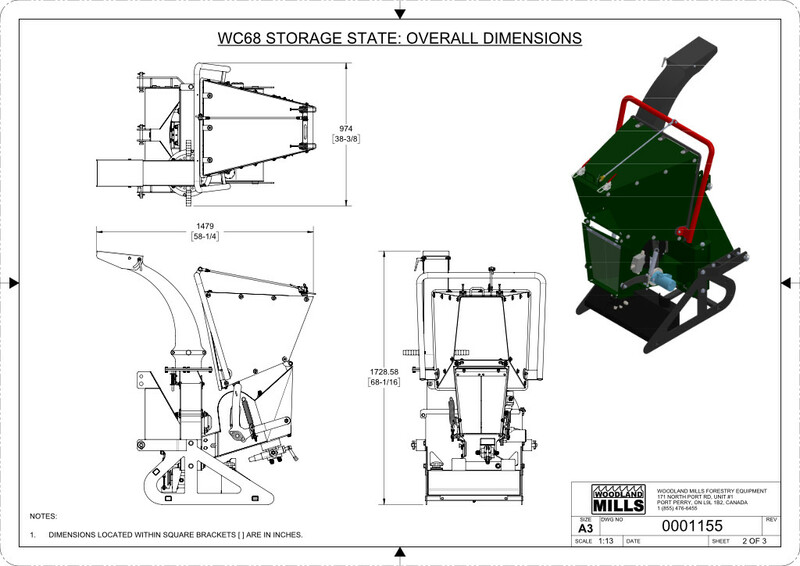 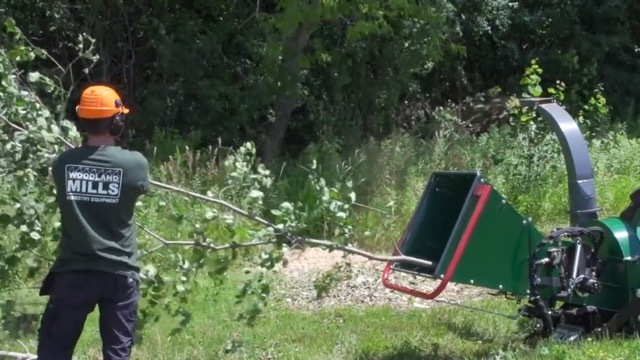 The end of the chute stands at 66” (1.7m) off of the ground, making it quite easy to direct the wood chips into the back of a truck or trailer if desired. 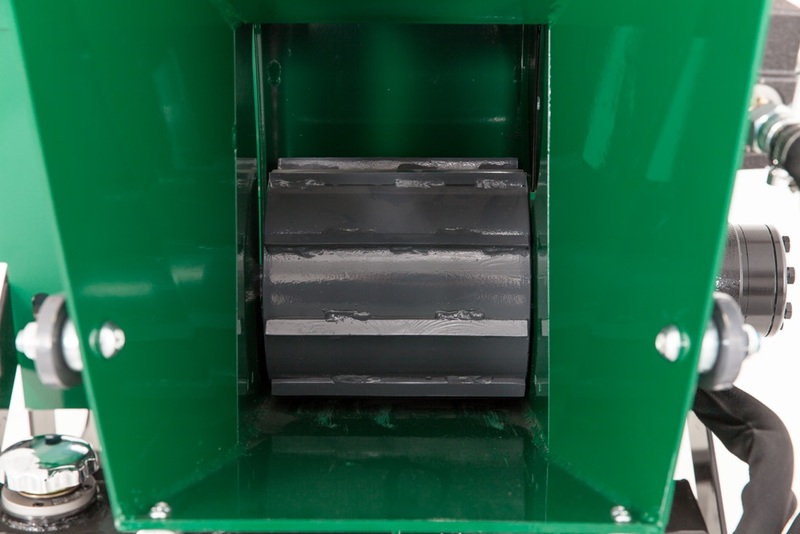 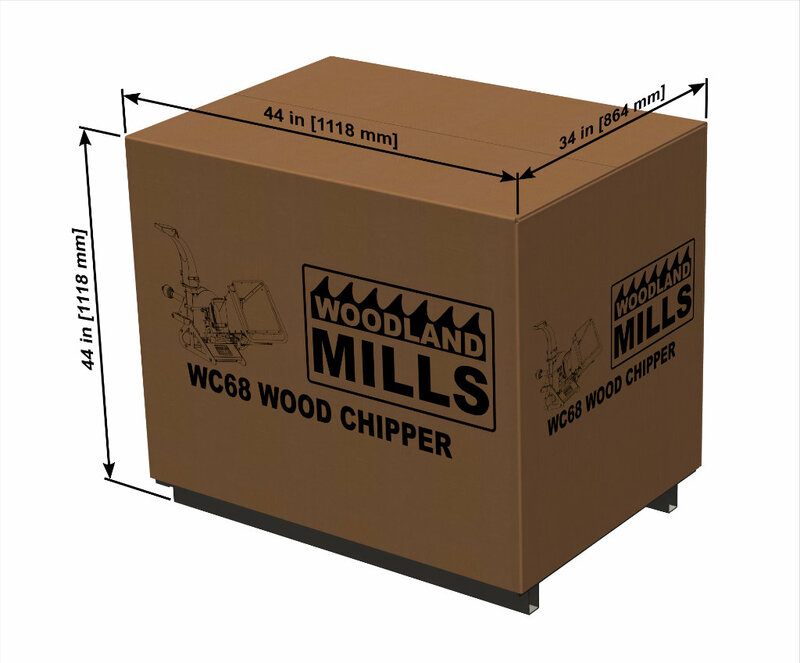 Located at the end of the discharge chute is a rotating deflector, which allows further control of the location of the wood chips. 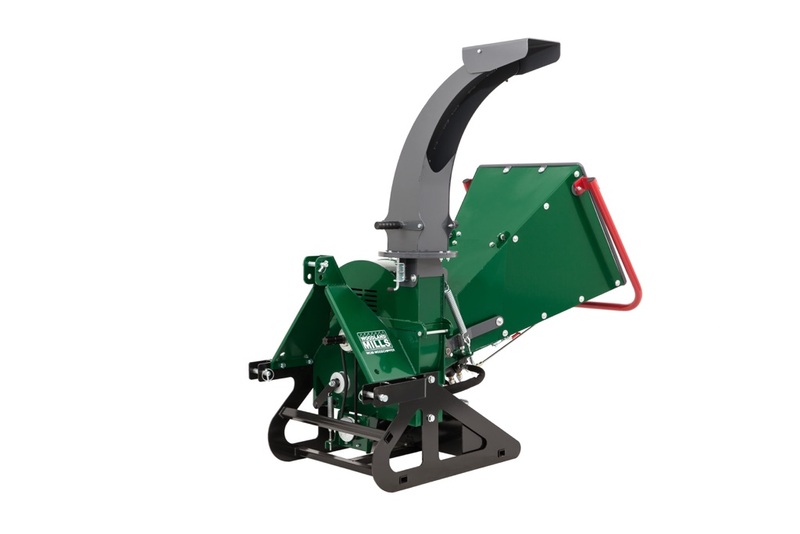 Simply point it straight for maximum distance or angled down to deflect the chips directly down to the ground or into a trailer.